The remaining 36 players in the $1,200 NLH event are now on their final break of the night. 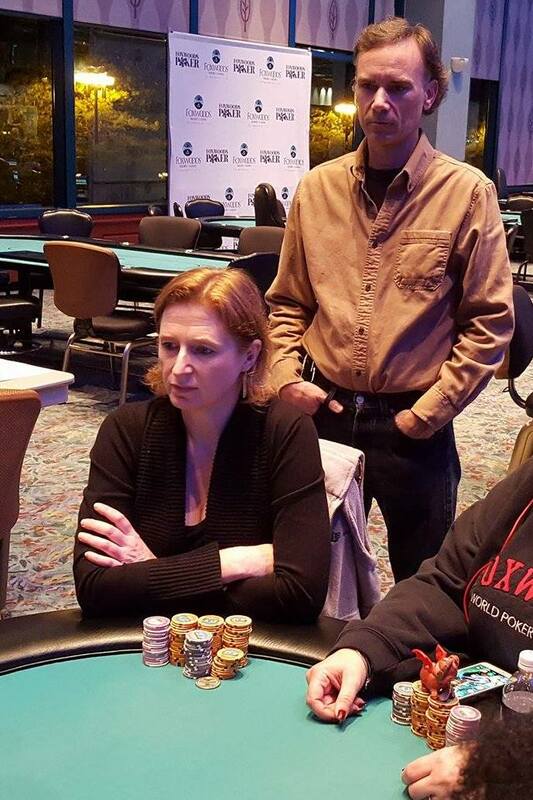 They will return to play Level 15 with 1,500/3,000 blinds and a 500 ante. They will play 2 more 60-minute levels before bagging and tagging for the night, and will return tomorrow at 12:00 noon to play Day 2. Jennifer Scheer shoves all in for 47,000 in middle position and Candy N. calls in the small blind. The board runs out 8♥5♣4♣Q♣3♣ eliminating Scheer in 6th place. 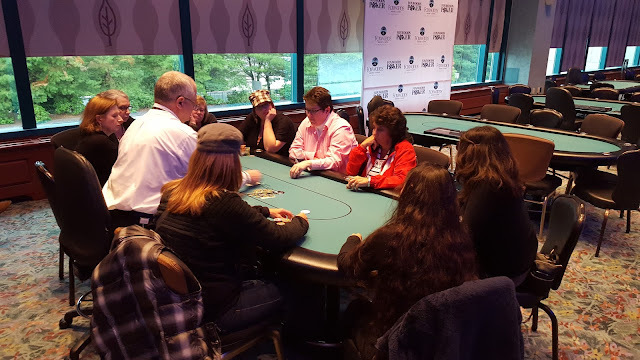 After the recent elimination of Helene Strafford, we are now down to the final seven players in the $250 Ladies Event. 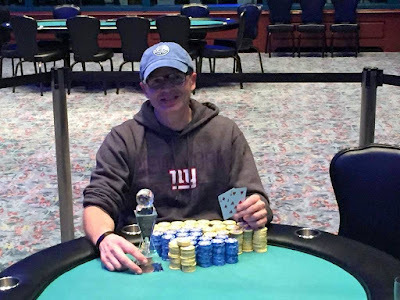 There were a total of 179 entries in the $1,200 No-Limit Hold'em Event #10, generating a prizepool of $189,257. The top 21 places will be paid out as follows. Event #11 has just begun and early registrants have taken their seats. There is a line at least 30 deep at the cage for players waiting to register, so this is likely to be a big field. 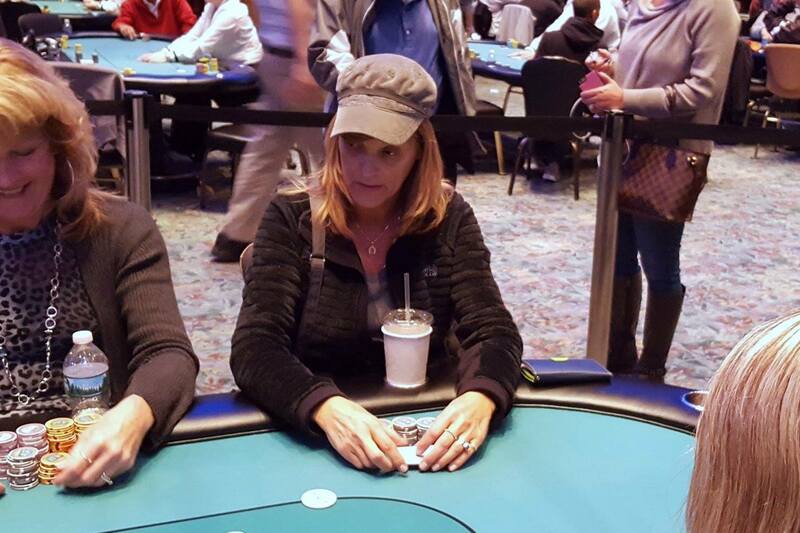 This event features a 40,000 chip stack and 15 minute blind levels. Anyone wishing to enter/re-enter has until the start of Level 11 to do so. 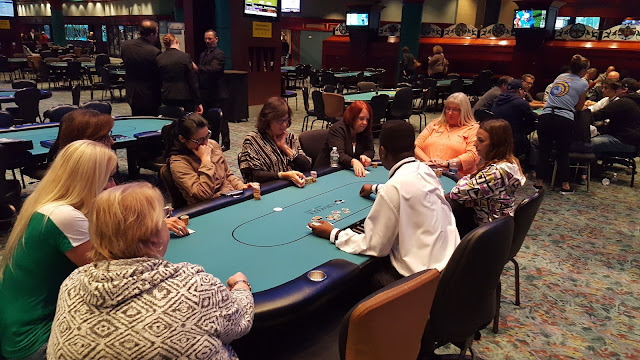 There were a total of 57 entries in today's Ladies Event, generating a prizepool of $11,887. The top seven spots will be paid. Play will resume in 60 minutes at Level 10 (500/1,000 blinds and a 100 ante). The clock currently reads 164 entries, and 116 remaining, but players are allowed to enter/re-enter until the end of dinner break/start of Level 10 so the number may climb. Right before the break a strange hand took place that resulted in a triple up for professional poker player Andy Frankenberger. 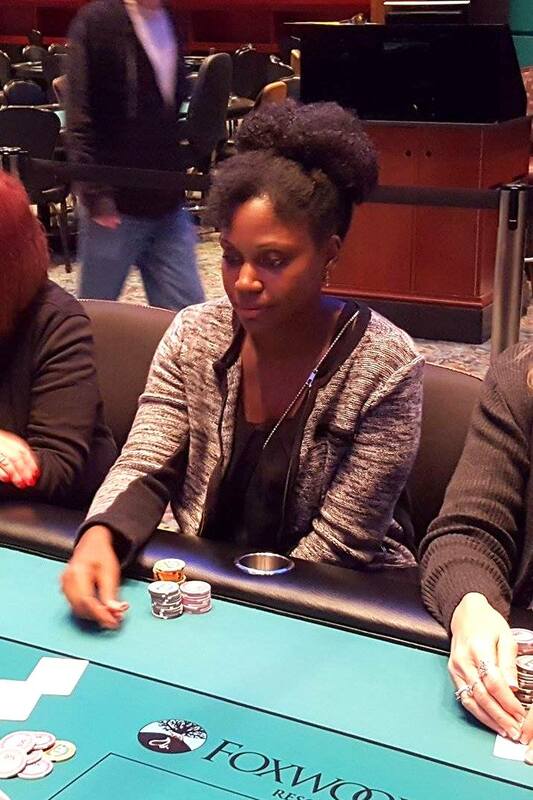 There were three players to see the K♥4♦3♦7♠ board (and 10,000 in the middle). Jiqiang Tong checked in the small blind and though action was on Andy Frankenberger in middle position, the player in hijack had said "I call." Action pauses and Frankenberger asked, "What did you say?" The player said again, "I call." The floor is called over and after some back and forth discussion regarding whether the hijack is required to call due to a rule that prevents angle shooting, (and after the hijack has admitted to calling out of turn to "get in Frankenberger's head"), Frankenberger announced that he is all in. It was unclear if the hijack understood/heard the floor ruling and frustratingly said, "Alright, I'm all in," and flips over K♦J♦ (top pair and a flush draw) (forgetting that Tong was still in the hand and had yet to act.) 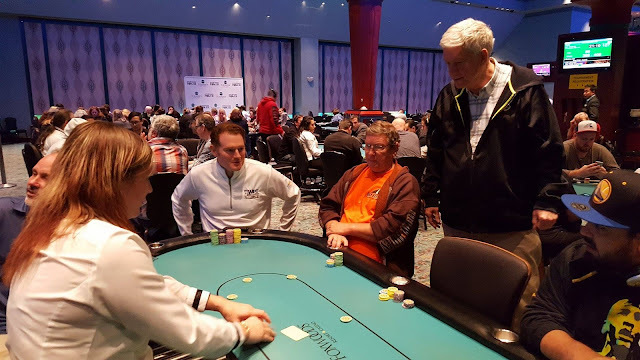 The situation started drawing a crowd and while players and now two floors continued to discuss the action and what's happened, Tong asks the dealer for a count of both chip stacks. The dealer tells Tong that Frankenberger shoved for 17,800 and the hijack shoved for 33,300. The J♣ river was safe for Frankenberger awarding him a triple up, and it also gave the hijack two pair, awarding him the side pot. He is also required to sit out three hands for exposing his cards with action pending. The clock reads 147 entries, and anyone wishing to enter/re-enter has until the start of Level 10 to do so. Play will resume after break at Level 7 (250/500 blinds with a 75 ante. We will post a list of chip counts upon return from break. After a four-way chop deal, Anthony Magistrale has won the trophy in the Seniors event and also is taking home $5,609. When the chop deal was reached, Magistrale was in third place. After two hours, he is now taking home the trophy in addition to the cash prize. Magistale took home his first Foxwoods trophy back in May of this year during the Mega Stacks Challenge. He took first in the $250 No-Limit Hold'e Bounty tournament for $5,169. This win adds an additional coveted "Foxwoods Globe" to his collection. 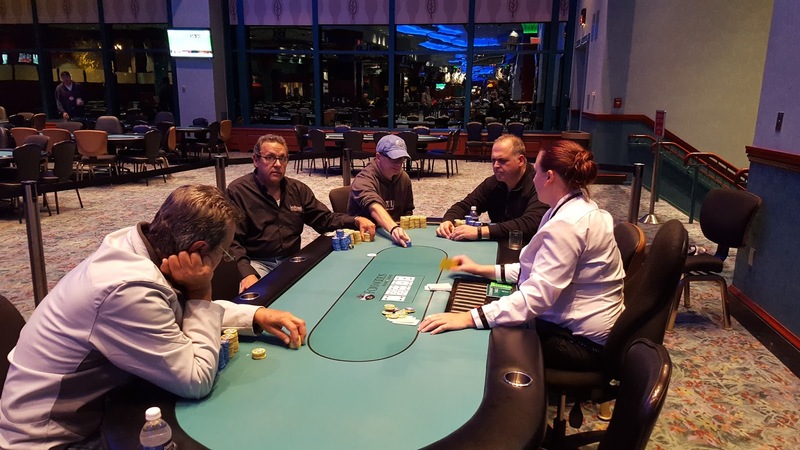 The World Poker Finals $1,000 No-Limit Hold'em Event is now under way. 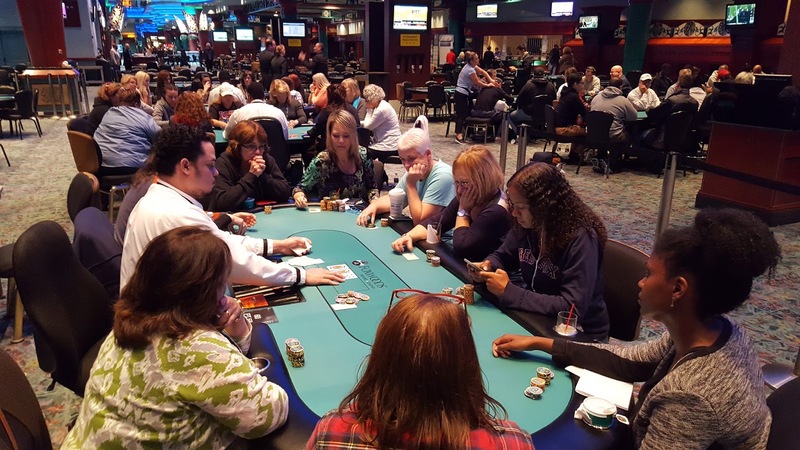 This event boasts an awesome $150,000 guarantee and a 25,000 starting stack. Entries and re-entries are available up until the start of Level 10, and this tournament is a two-day event. 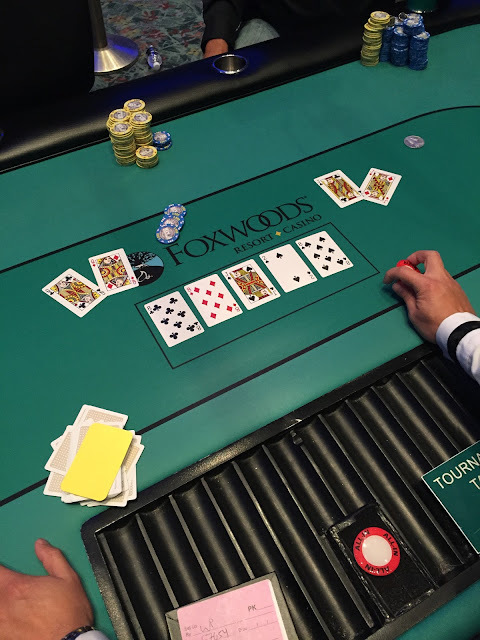 Players begin with 25,000 in tournament chips. 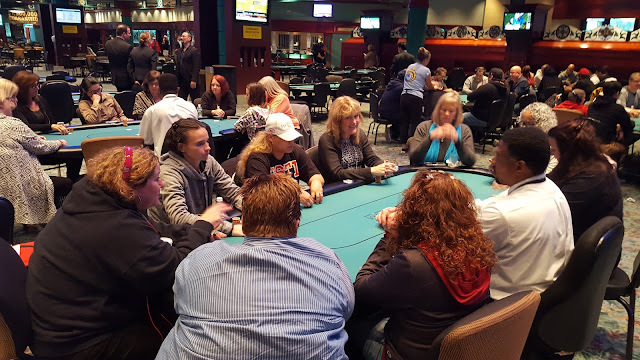 The $250 Ladies event is kicking off shortly. 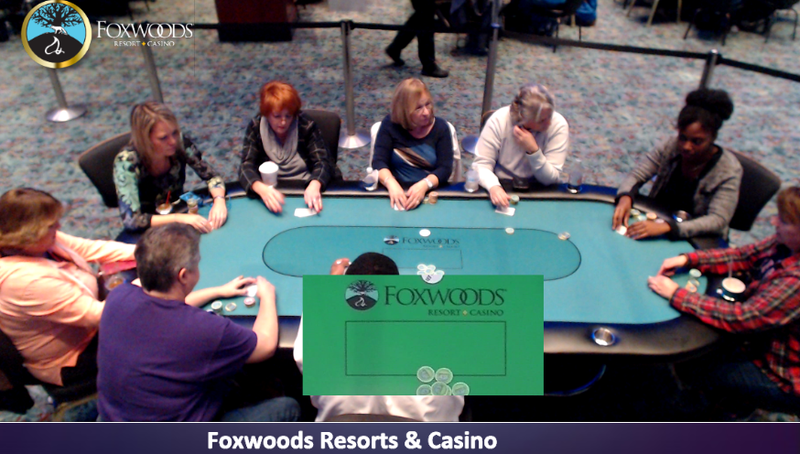 This tournament features a 20,000 starting stack and entries/re-entries are available up until the start of Level 7. For a full look at this tournament please see the details below, including structure sheet. A full schedule of all Foxwoods events can be found here. They will now play it out "for the glass," AKA the trophy. David Lee was just eliminated in 6th place after getting it all in holding pocket queens against his opponent's pocket jacks and the flop came jack high. Lee failed to improve and was sent home in 6th place, paying $1,882.